Vivo launched a new handset in X series for china markets. The new handset is dubbed as X5 Pro and will be offered for a price of CNY 2,698. 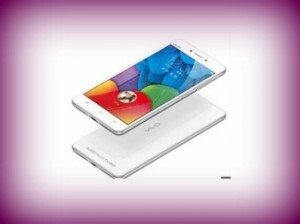 The company however did not reveal any details about availability of the device. Beijing: Vivo X5 Pro sports 5.2 inch display and the resolution is 1080 x 1920 pixels. It is powered by octa core processor. The processor is backed by 2 GB RAM and the internal storage is 16 GB. Memory can be expanded up to 128 GB via micro SD. The handset comes equipped with 13 megapixel camera at rear and 8 megapixel camera at front. It comes out of the box with Android 5.0 Lollipop operating system. Connectivity features are WiFi, Bluetooth and 3G. This is a dual SIM mobile phone that comes with other features such as 3.5 mm headphones, FM radio and micro USB charging. Battery under the hood is 2300 mAh. Vivo X5 Pro comes with eye-scanner technology. Using this, the user can unlock the device and important stored information can also be locked. Vivo is planning to set up manufacturing plant in India in a couple of years. Earlier launch of Vivo in China was X5S for a price of CNY 2,498. It is also not clear whether Vivo has plans to launch X5 Pro in other global markets or not. This entry was posted in Launches, Tech on May 14, 2015 by Rakesh.